The signs are everywhere...from soft, breezy fashions and fresh floral scents to lovely new looks and warm-weather styles. Spring into bloom and see your beauty blossom. I just had a small personal order this campaign. 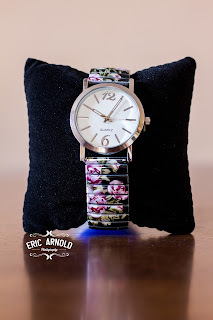 I got the Pretty Floral Expansion Watch in black. The floral print on the band is lovely and the face is easy to read. It fits perfectly on my wrist which is about 6.5inches. Since the band expands it will fit most any size wrist but would be loose on wrists smaller than about 6 inches and the floral print will have gaps if that band is expanded more than about 8 inches. From the Experts who pioneered the effective use of Retinol ~ two new treatments with the #1 wrinkle-fighting ingredient recommended by dermatologists. 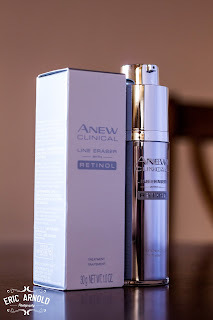 For overall fine lines and wrinkles choose the Line Eraser with Retinol Treatment. 2 times faster and more powerful than a leading dermatologist-inspired treatment, the lightweight, fast-acting treatment is formulated with our exclusive Amino Acid complex to deliver wrinkle fighting action. In a clinical test 100% of women tested showed improvement in the look of fine lines and wrinkles. 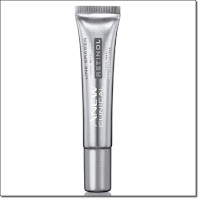 For targeted deep wrinkles choose the Line Eraser with Retinol Targeted Treatment. Specially designed to smooth the look of lines on the forehead and around the mouth the dual delivery of Retinol attacks lines instantly and provides targeted wrinkle-fighting action all day. In a clinical test the look of deeper lines is smoothed and resurfaced. Use as the second step of your skincare routine, after cleansing and before moisturizing. Use the all over treatment morning and night, and the targeted treatment at night. The treatments can be used together, especially if wrinkles are a key concern, apply the targeted treatment after the all over treatment. Since the treatments do not contain SPF it is recommended to use one of the Anew Day Creams or Lotions as part of your morning regimen. The same great scents you love now with a fresh new name. The whole line of Senses is on sale to celebrate the new name and we have two 5 piece sets for an even bigger savings. Hydrating Shower Gels leave skin feeling clean and conditioned. 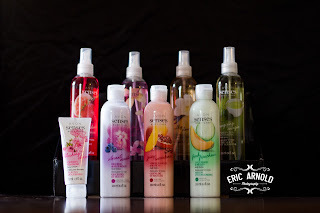 Body Lotions provide you with 30-hour moisture for velvety smooth skin. The beautifully scented mist of the Body Sprays leave skin feeling refreshed. Keep them in your fridge in the summer months for a cooling pick me up on a hot day. Check out Mark's Spring Style Preview for the trends you want to snap up now. Find out the 5 products mark. celebrity makeup artist Kelsey Deenihan swears by and get a little pretty in Pink, Mint and Orchid with new shades in Total Kiss Up gloss, All Time Eye shadow and Nailed it lacquers. Special deals on makeup, fragrance, jewelry, and personal care.